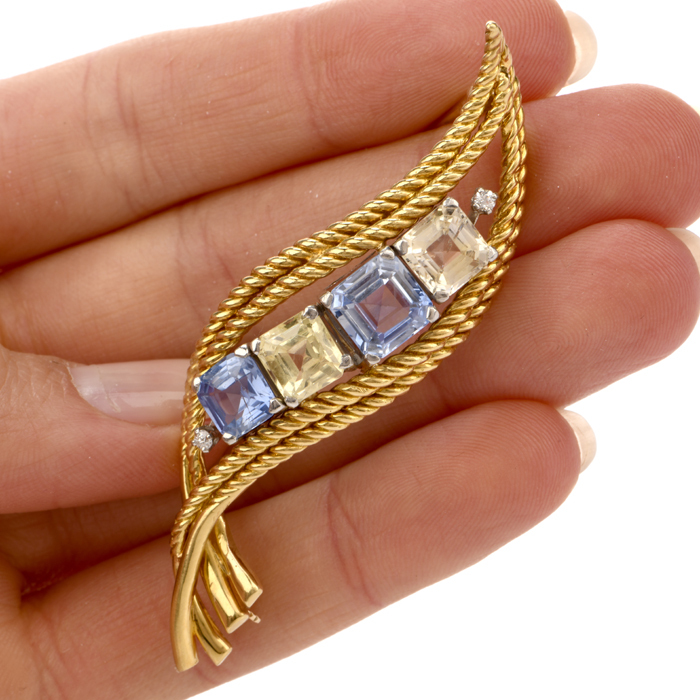 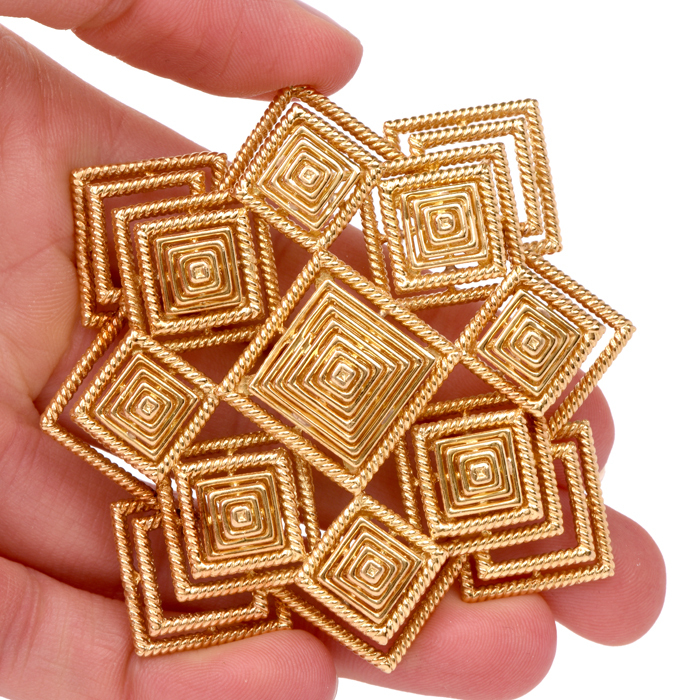 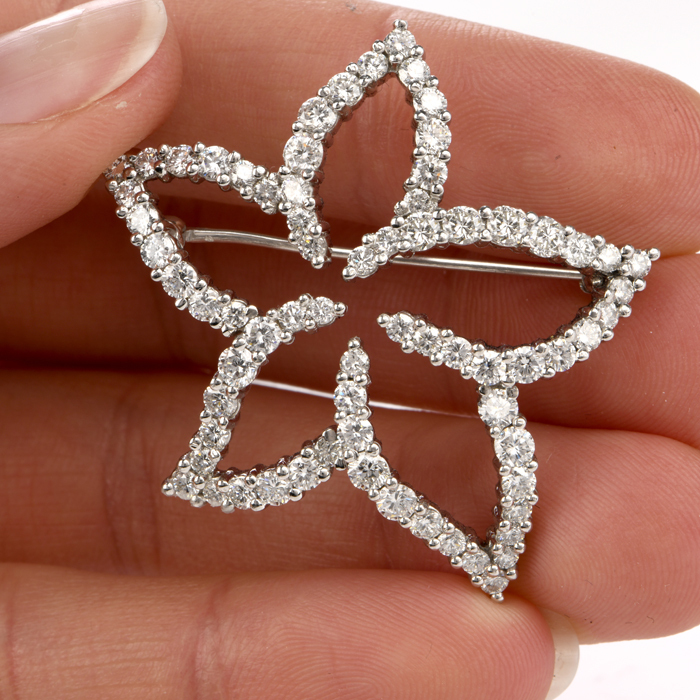 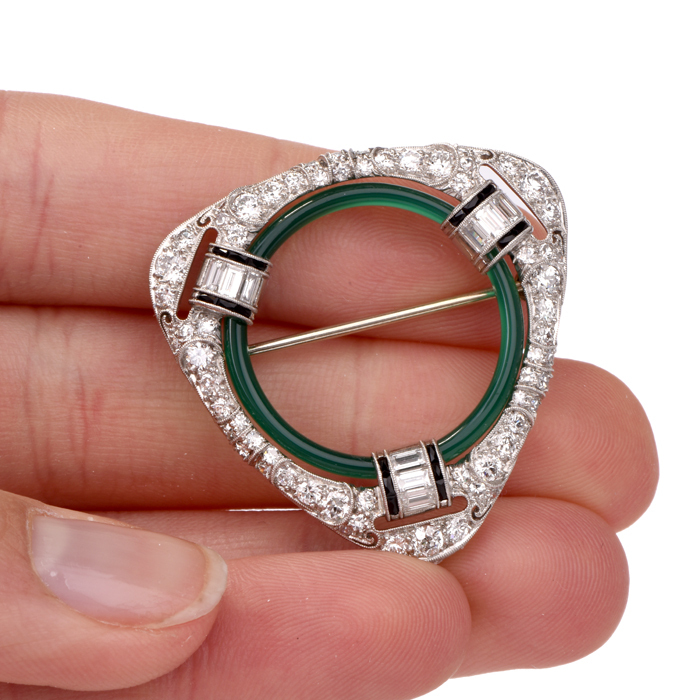 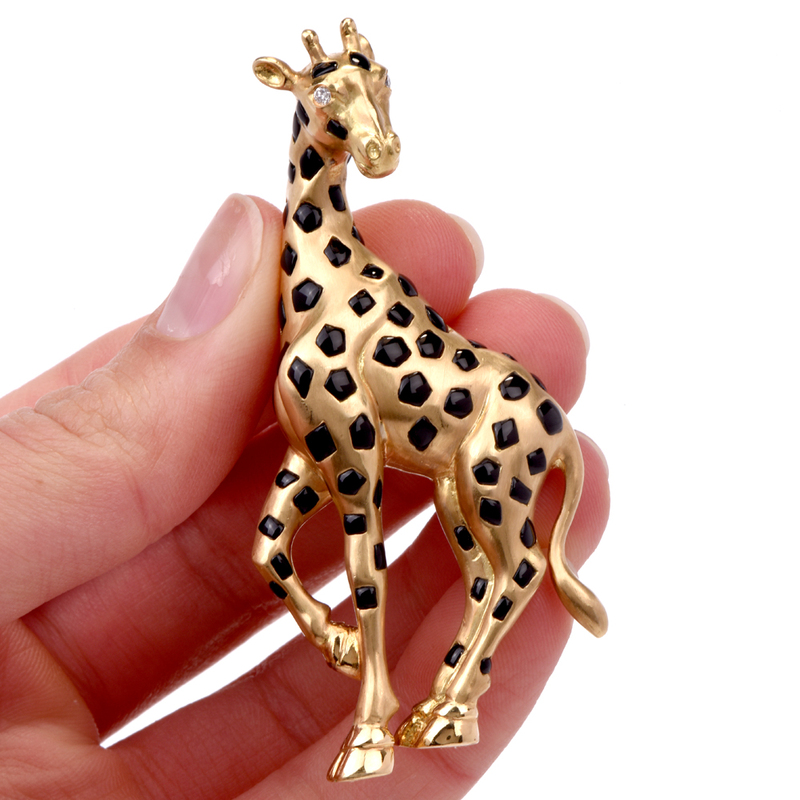 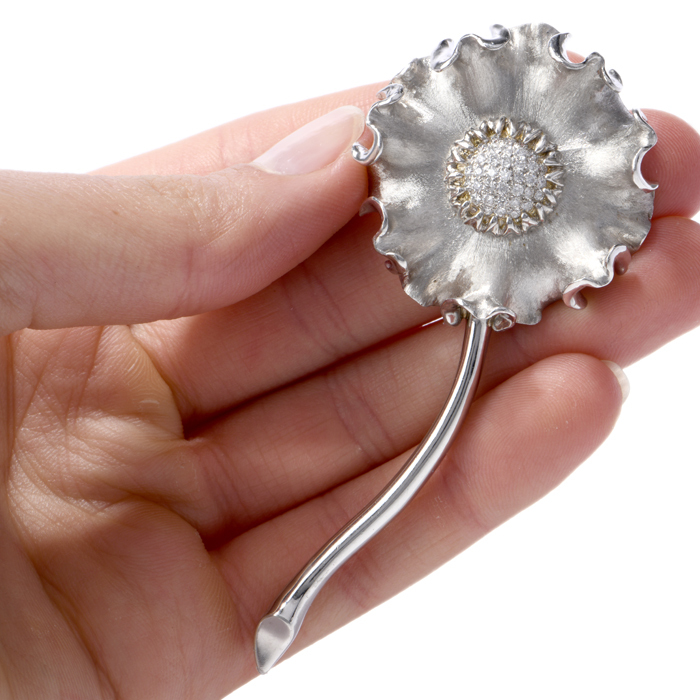 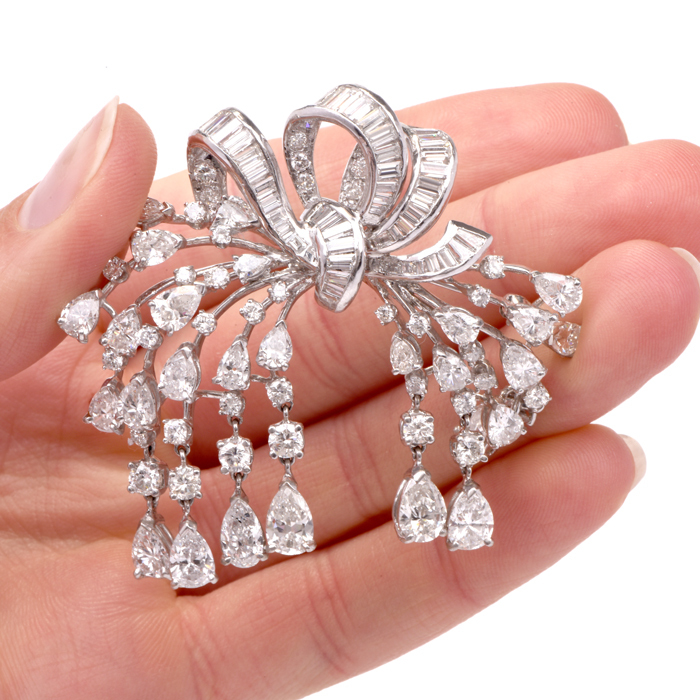 There are two terms commonly used to describe a decorative jewelry item that can be attached to garments or that can hold garments closed: a brooch or a pin. 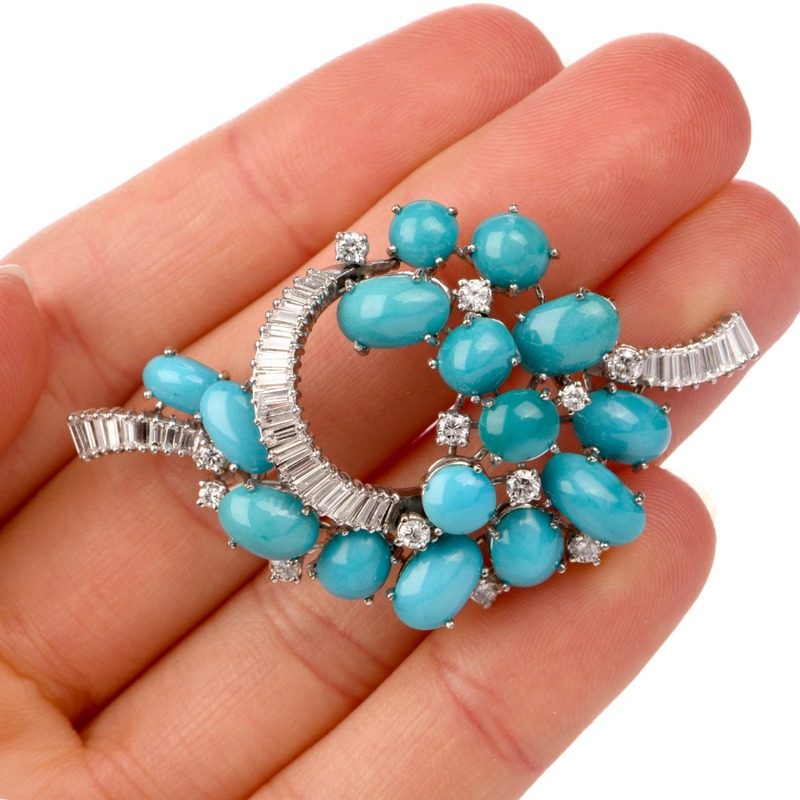 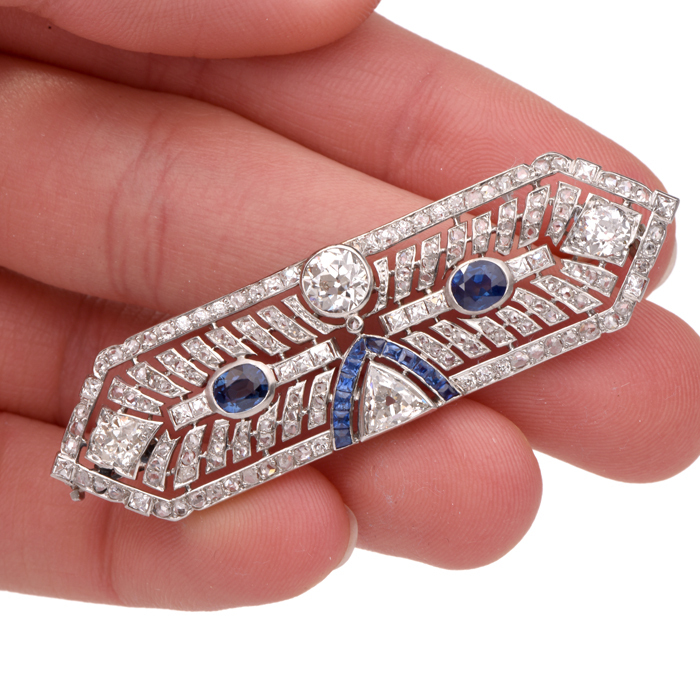 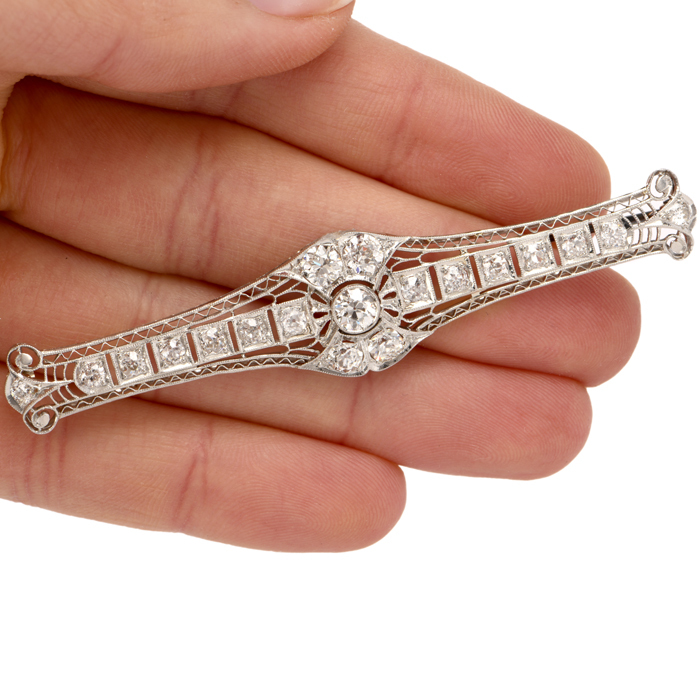 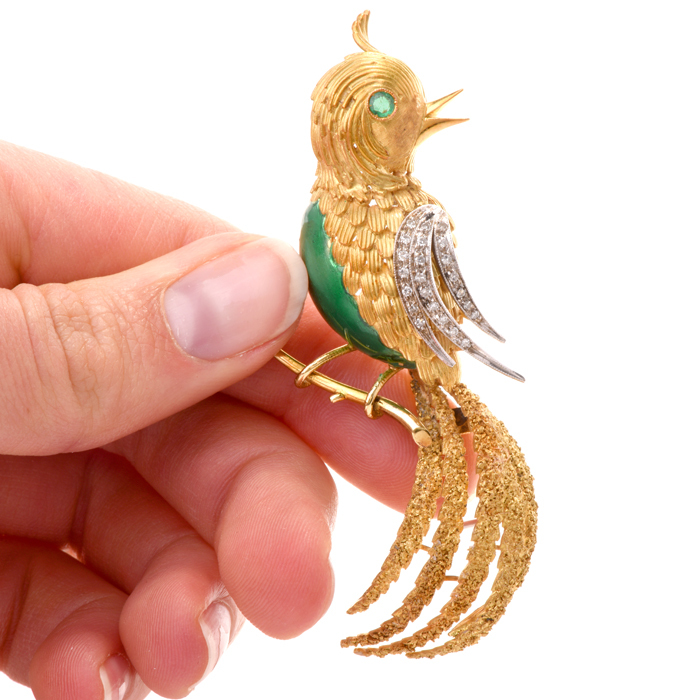 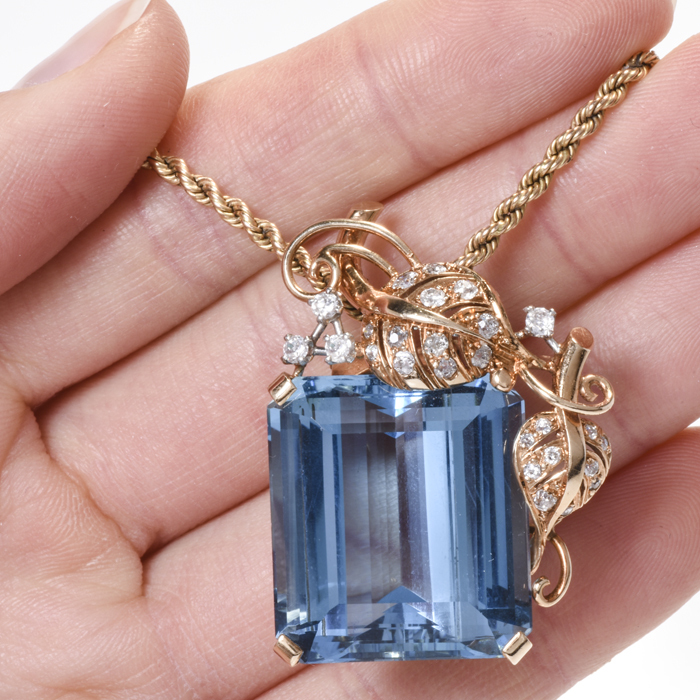 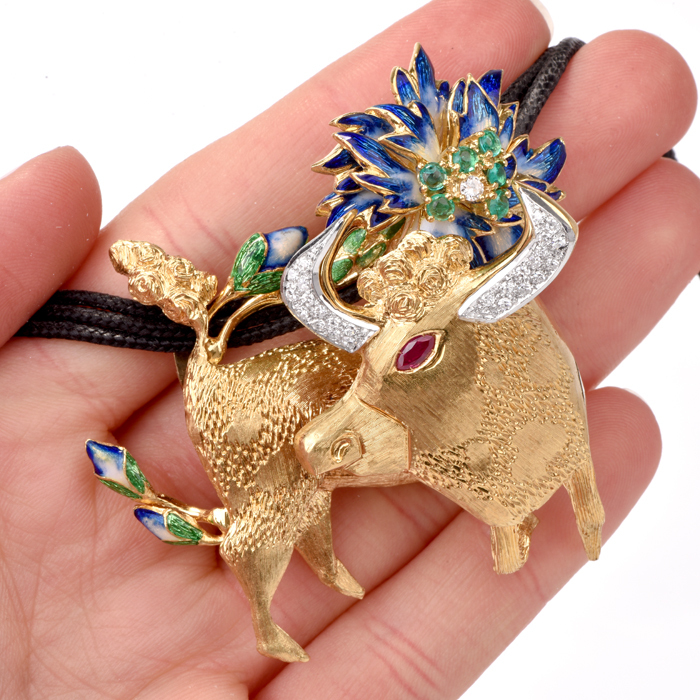 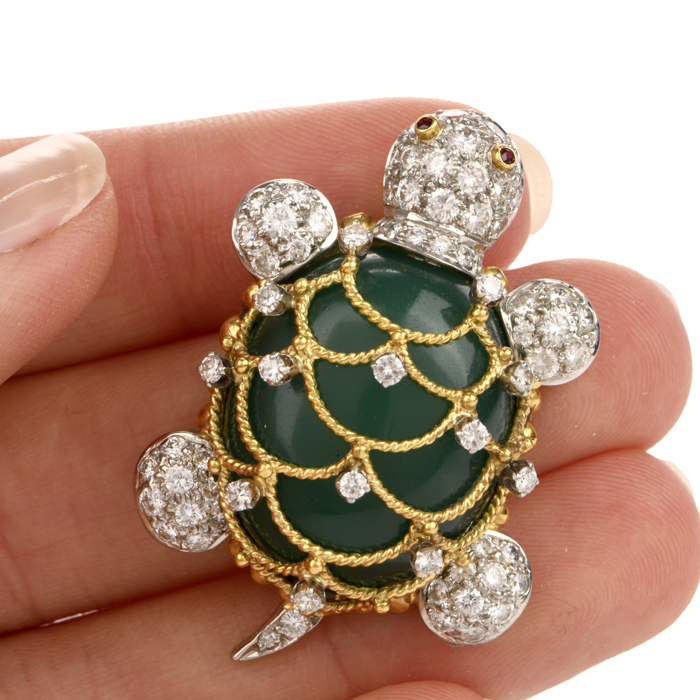 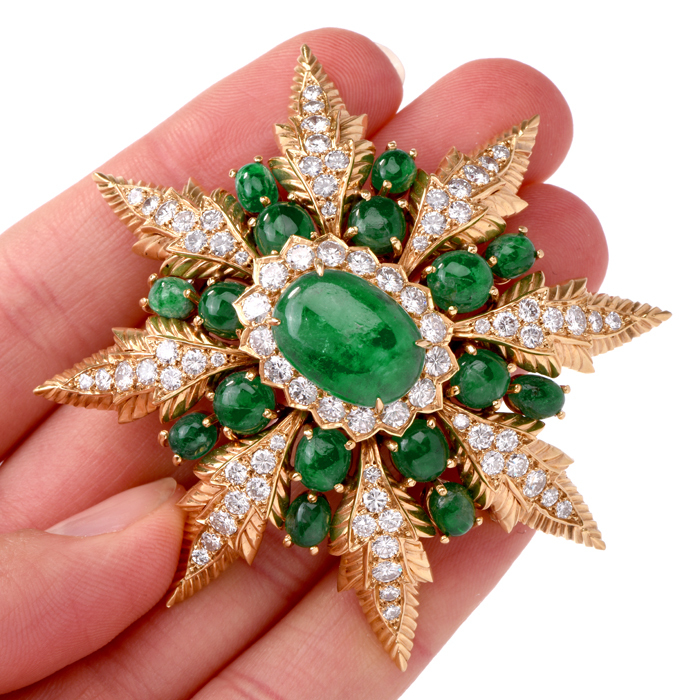 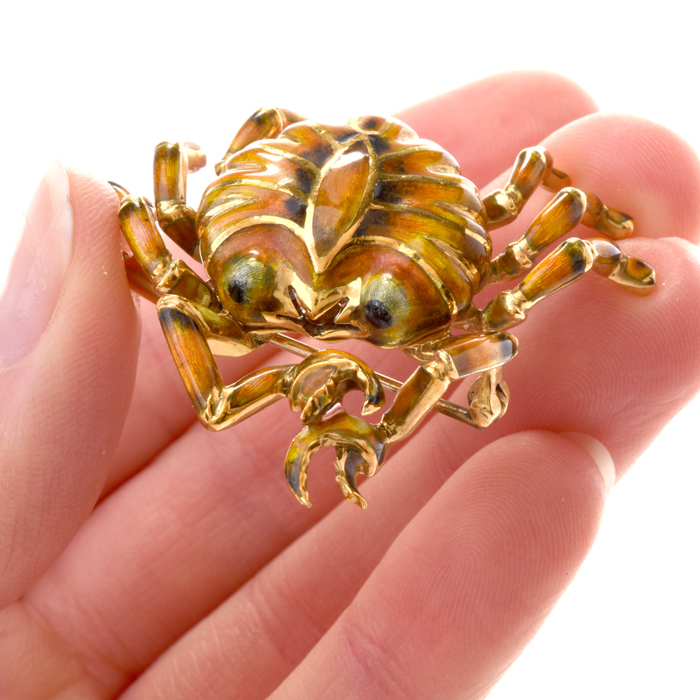 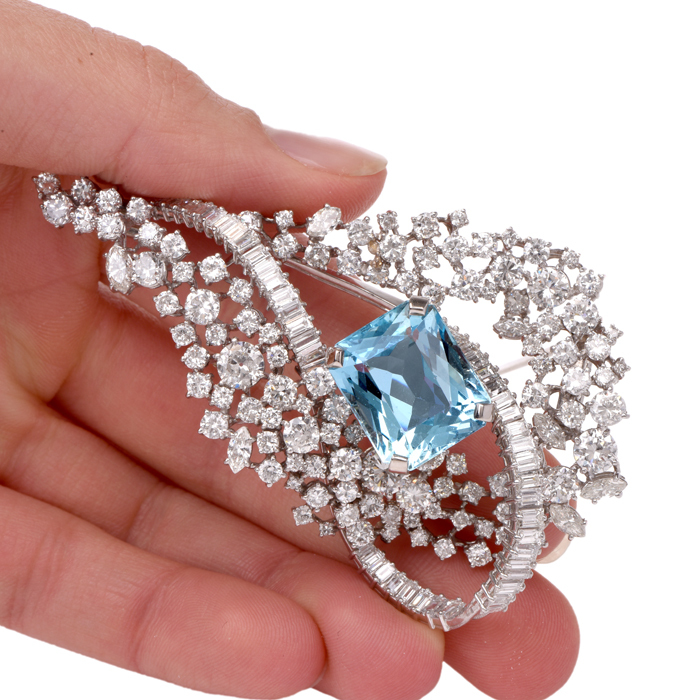 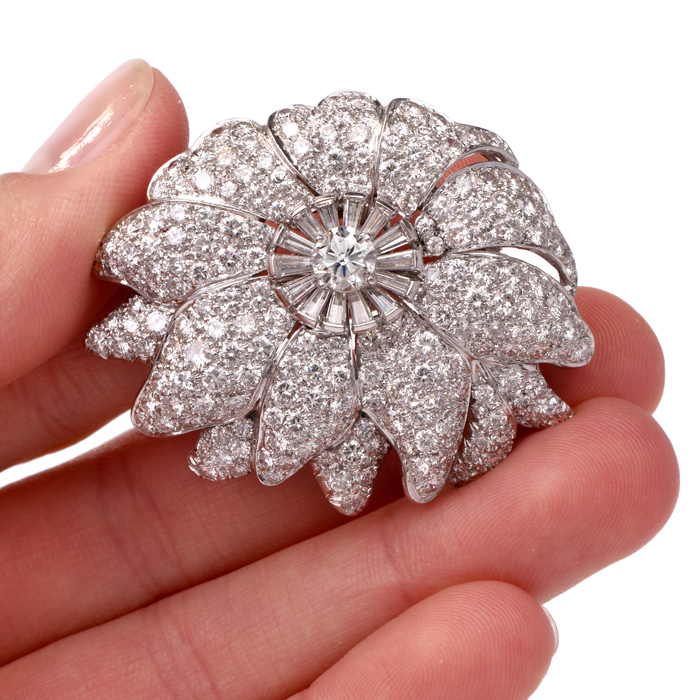 At Dover Jewelry, we use both words to talk about our vast, ever-changing collection of globally-obtained antique, vintage and estate brooches for sale. 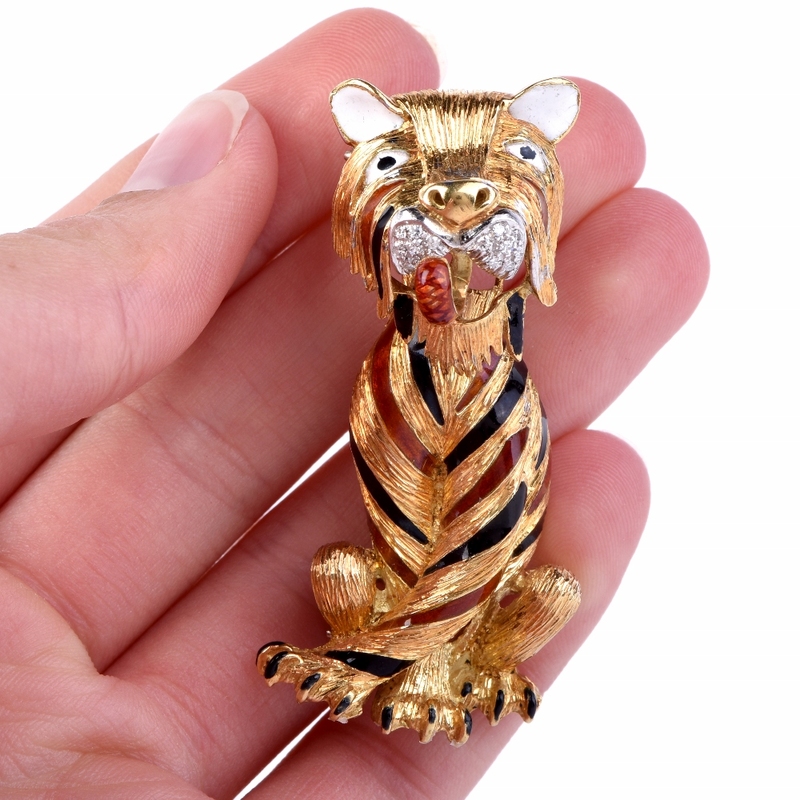 Whether you want a gold antique pin to add character and charm to a fashionable hat or scarf or you are in search of a golden Victorian estate pin that looks like one your great-grandmother would have worn, we invite you to become part of the Dover Jewelry clientele. 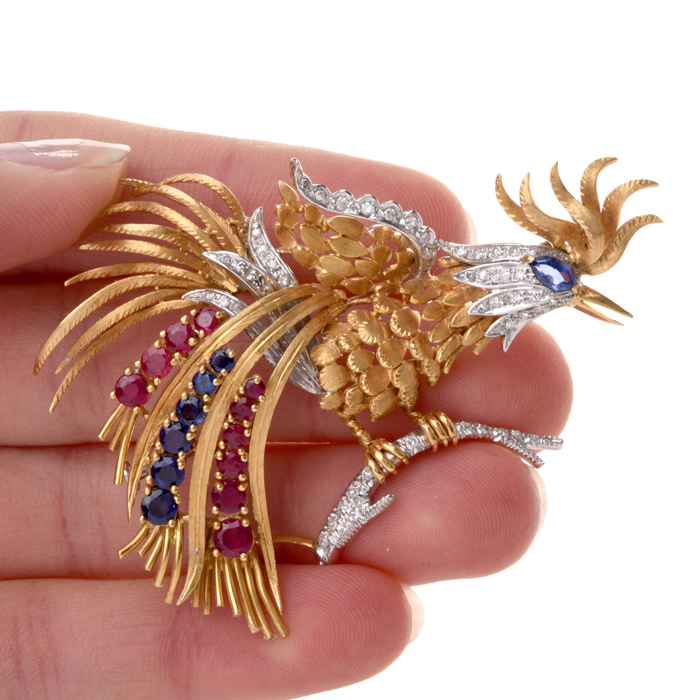 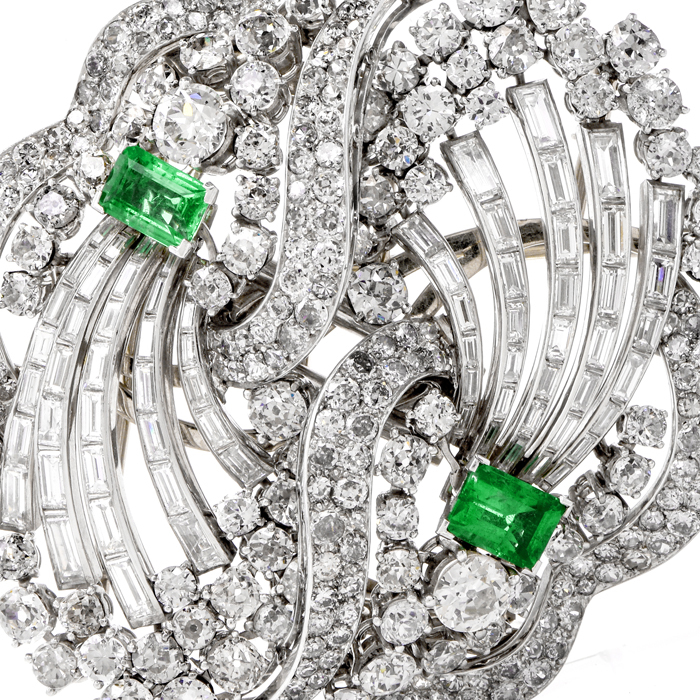 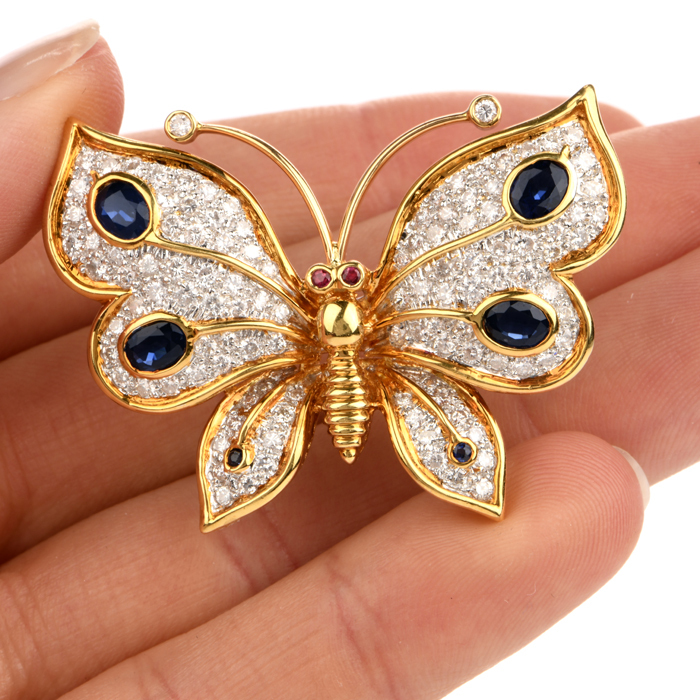 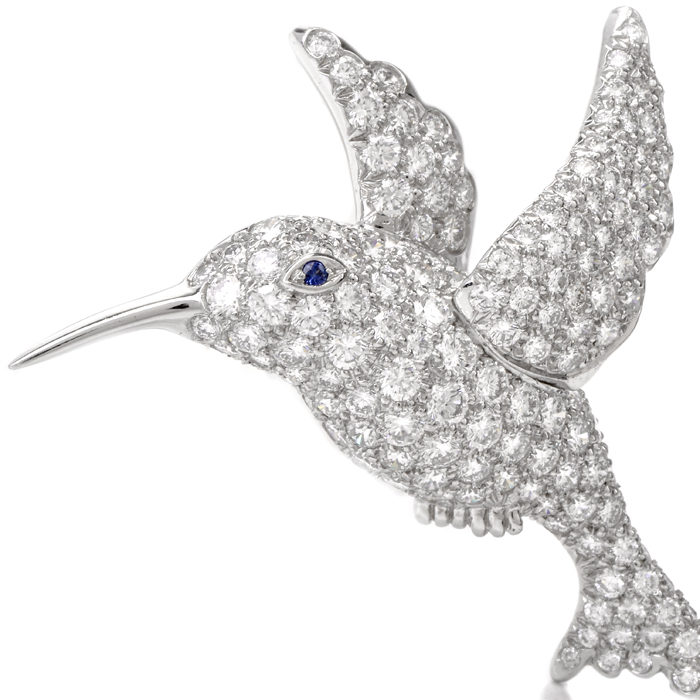 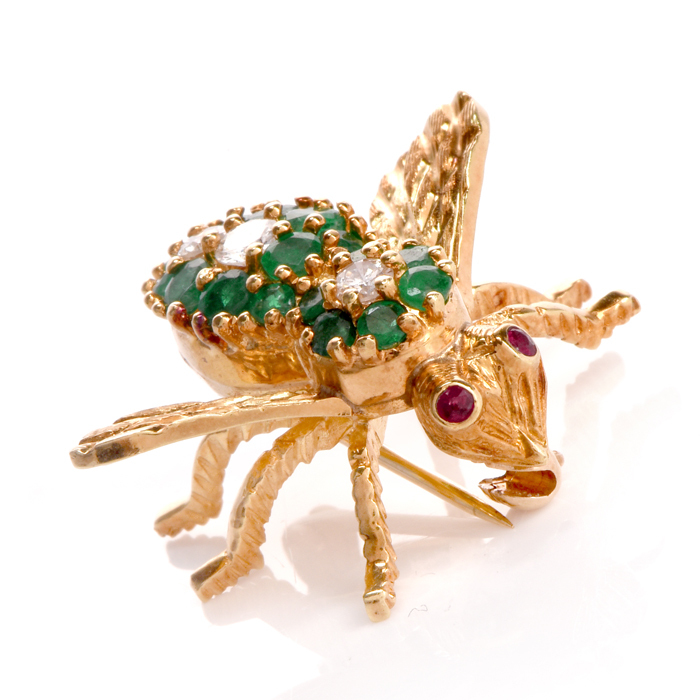 Browse through our complete gallery of luxurious, genuine brooches, many of which feature gemstones, diamonds and intricate etchings. 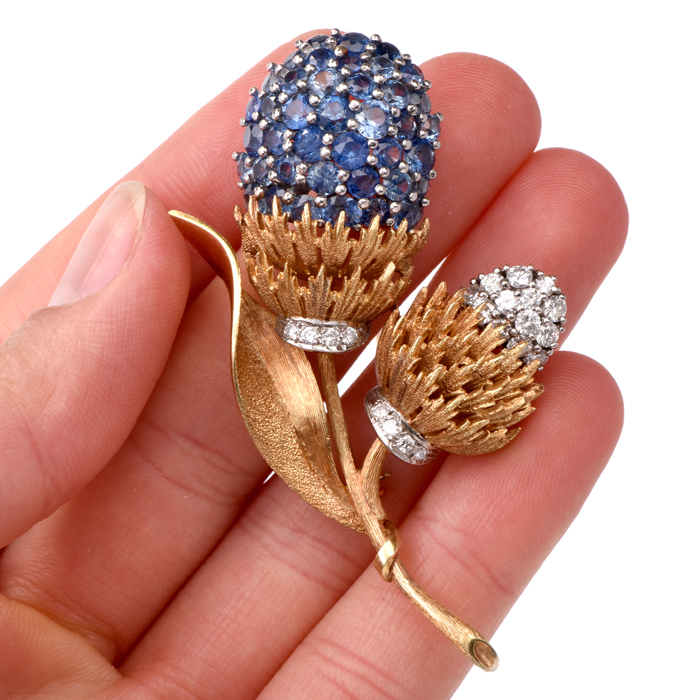 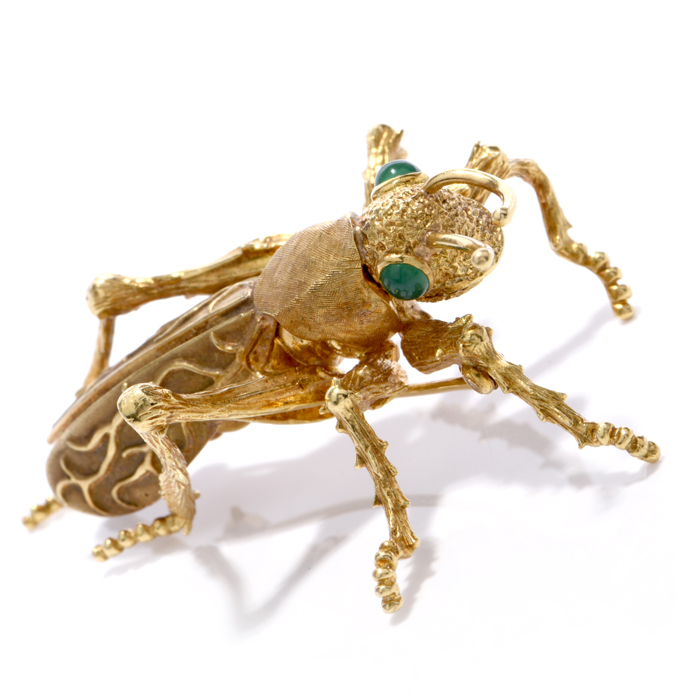 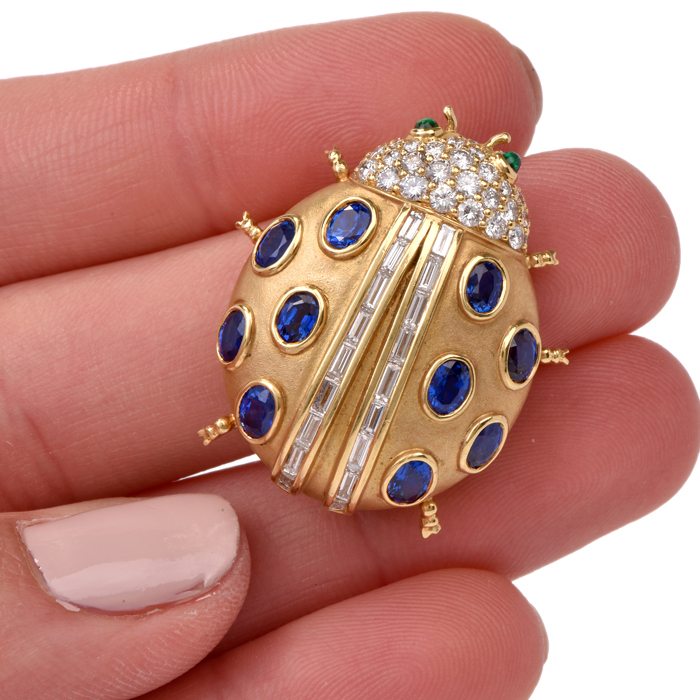 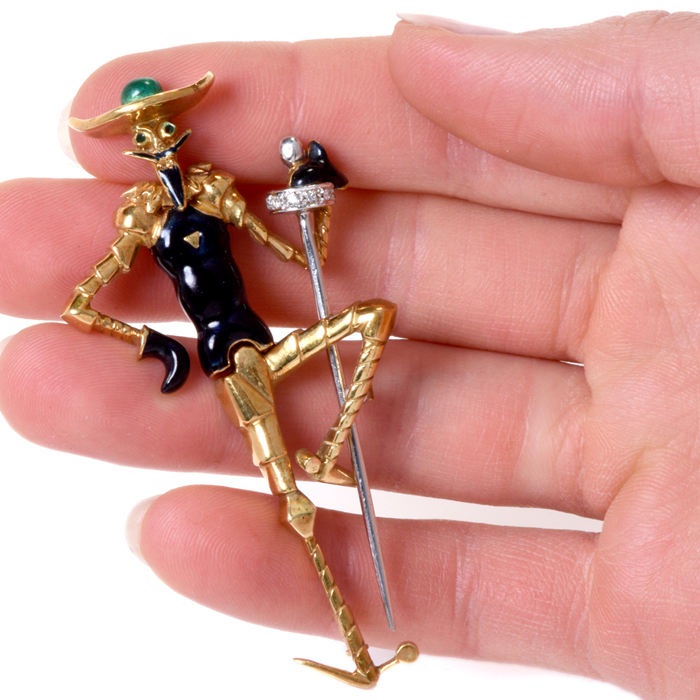 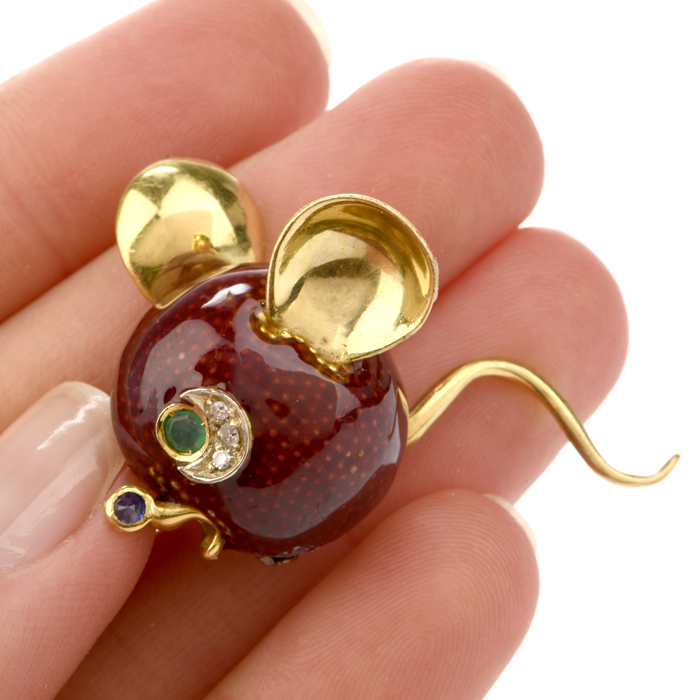 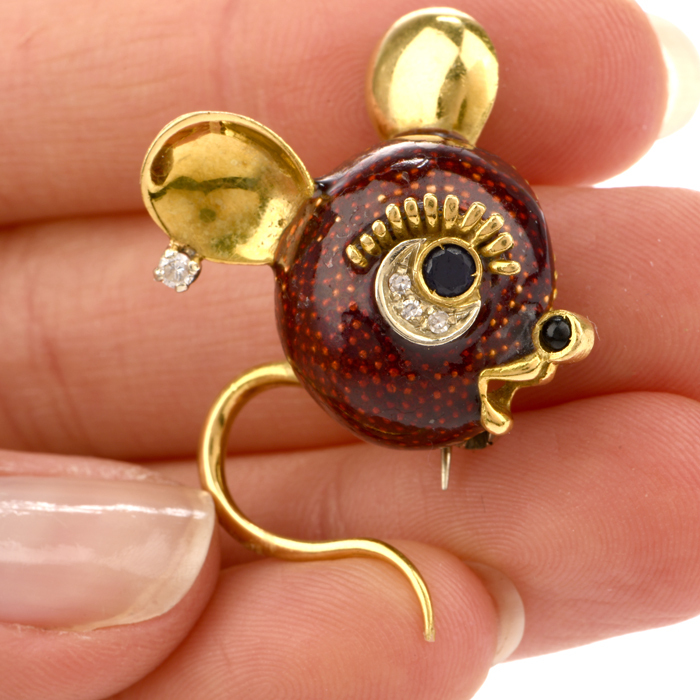 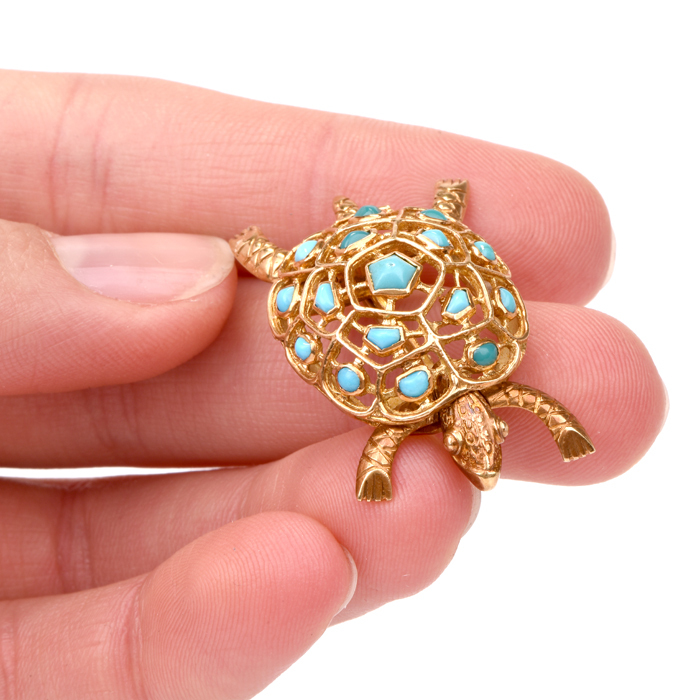 All antique pins are guaranteed to be at least 100 years old, and many have been made by designers at some of the world’s most notable jewelry houses.